First of all this pipe looks cool just as it is, but when smoking it, the length of the pipe and the removable tip (turning it into a choke) give you totall control over the volume and temperature of your smoke. Cleaning this pipe has been made easy through the fact you can take it apart. 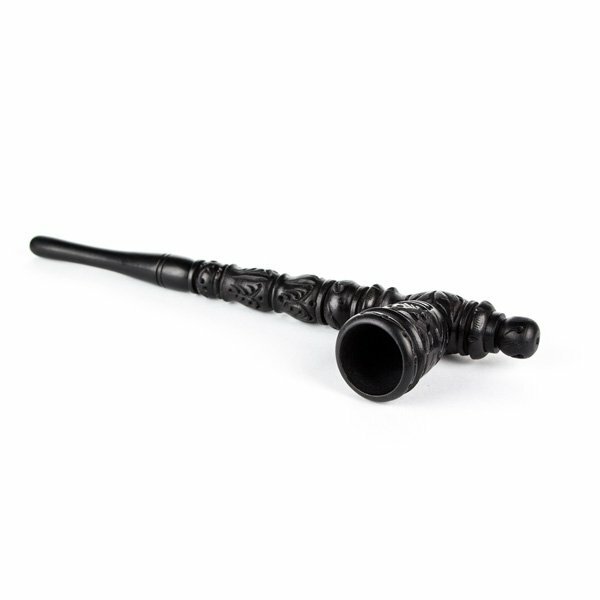 This also makes transporting this pipe from A to wherever you want to smoke a lot easier and safer. Ten eerste ziet dit pijpje er gaaf uit, maar de lengte en het verwijderbare topje (wat dan verandert in n klapgat) geven je totale controlle over het volume en de temperatuur van de rook die je inademt. Het schoonmaken van deze pijp is kinderspel vanwege het fijne 4-delige ontwerp. Ook kun je hierdoor je pijp makkelijker en zonder breukgevaar van A naar waar je dan ook wilt roken verplaatsen. 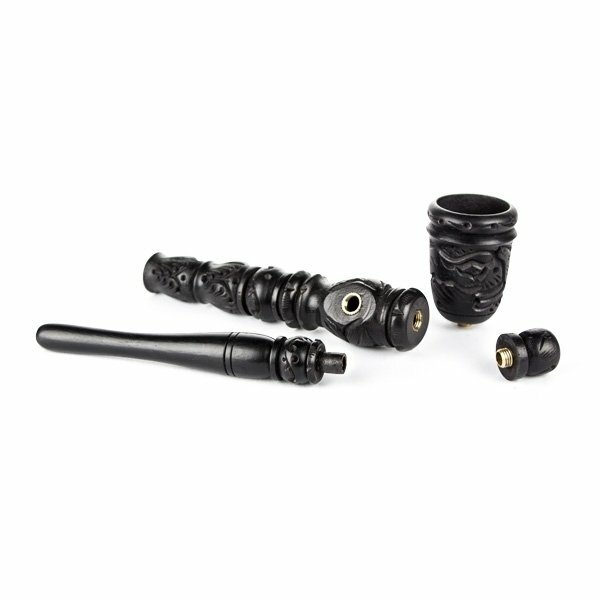 the tip of the pipe is also removable, i assume this is to give the smoker the option of having a choke/carb... the bowl and the tip are also interchangeable, (not sure if it was intended to be this way) which means that this pipe also doubles as a chillum - a two-for-one bonus. delivery was fast, and i got a free gift despite the fact that it was a small order.. i am definitely going to spend more money with Zamnesia!! Quel diamètre doivent avoir les grilles pour s'adapter à la pipe ?